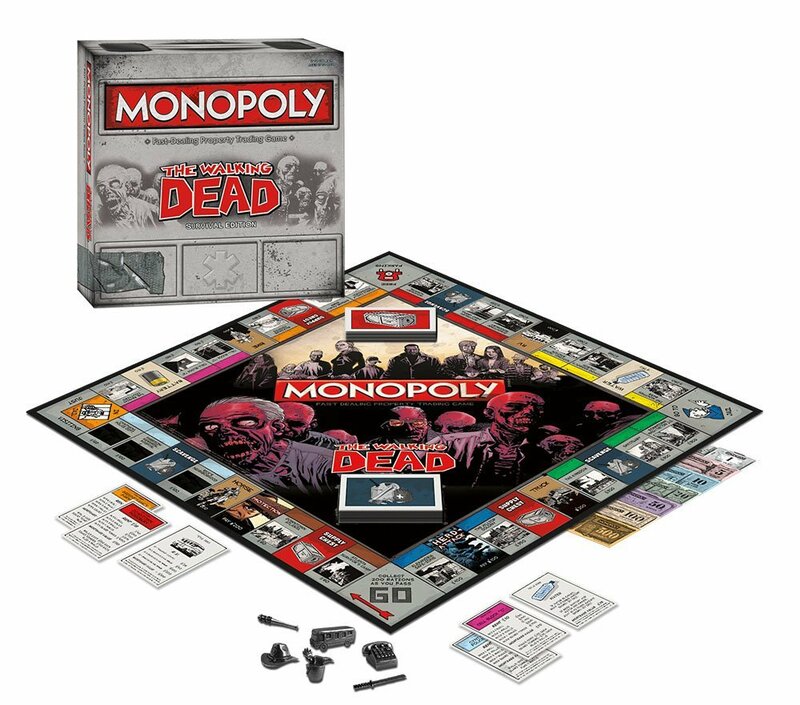 First we had Zombie-Opoly now we have The Walking Dead Monopoly. What more could a Zombie Obsessed Monopoly addict ask for? The Walking Dead Survival Edition delivers a classic Monopoly wheeling and dealing game play. Players fight for, and then must fortify the prime real estate and resources that will sustain their lives.